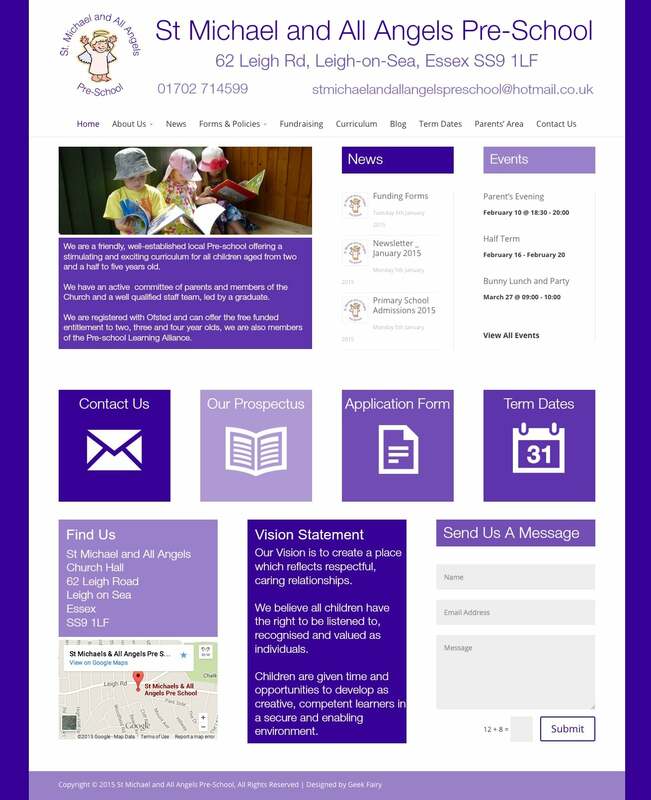 The client had a very basic website and wanted to have a site that parents of the pre-school, and potential new parents would be able to find information easily. I designed the homepage so that all the important information was there, easy to click and get to. Including a contact us and map / contact details. The site incorporates an events calendar and news/blog section. Thank you Jo for re-vamping our website.